Expert tips on how you can reverse rheumatoid arthritis naturally! If you have been suffering from RA for a long time, here is how a diet and exercise regimen can change your life! 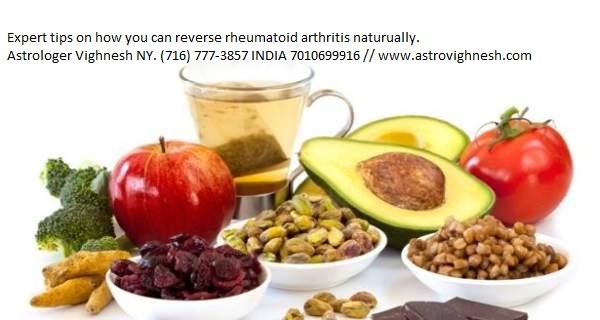 Expert tips on how you can reverse rheumatoid arthritis naturally. Rheumatoid arthritis (RA) is an extremely painful condition that can be quite often debilitating. But despite what you might know about the disease, living a life with the condition is definitely possible — with the right kind of diet and exercise. Nutritional therapist, says that he has devised a unique method for people with RA. He says that with his regimen people can reverse their condition and lead a healthy life. Here are excerpts from the interview. What is rheumatoid arthritis? How does it affect people? Rheumatoid arthritis (RA) is an immune disorder, where your immune system works against you. Unlike other forms of arthritis, RA is caused by age and lack of adequate calcium. Basically, RA is your immune system’s response to things going wrong within your body. The smaller joints get affected first, then larger ones and slowly the organs of the body also get affected. It is not very uncommon for RA patients to develop heart and other organ related diseases as their immune system works towards destroying their bodily functions. Read more about rheumatoid arthritis – causes, symptoms, diagnosis and treatment. How did you come upon the use of nutrition and yoga to heal RA? When I was diagnosed with RA, my rheumatologist started me on immuno-suppressants, steroids and methotrexate (a drug commonly used in chemotherapy). I was given a steroid injection on my elbow, since it had bent and would deteriorate beyond repair if no action was taken. I had to wait for three months for the immune drugs to start acting, and three months later I started to feel the effect. For seven months, I regularly took the medicines along with folic acid and glucosamine supplements to negate the side effects of the strong drugs I was taking and to build my joints. After a while of feeling good, I noticed that my hair had started falling. I tried everything possible to get back my lost hair, but to no avail. Nothing worked. When I asked my immunologist, he told me it was a side effect of the drugs I was taking. I had to choose between balding and being able to walk. Here’s what you should know about the diagnosis and treatment of arthritis. When I was left with making a decision between going bald or being able to walk is when I decided to go off my medication. Instead, I signed up for a 14-day RA treatment at a well-known Ayurvedic outlet. For seven days, they used special herbs for Abhyangam. The next seven days, they used potli – a technique where you pound the joints with a small bundle full of herbs dipped in heated oil. It was painful but I actually began to feel a little better. Pranayama: Despite all this I was still in a lot of pain and couldn’t even walk, so I turned to yoga and pranayama. I found breathing exercises boring, and did the minimum amount required. Miraculously, 15 days after I started my breathing routine, I began to feel better. Within six months of all the combinations, I was almost pain free. I continued practicing half an hour of pranayama, five days a week, and got the potli therapy done once a month. I modified my diet and included nuts, fruits and green vegetables, which help in controlling inflammation. I then added raw garlic, green tea and fish oil supplements (these foods also have anti-inflammatory components). The process was slow and took me a year to recover. But after a year, when I did my blood tests, it showed that all my markers for RA were negative. The negative results continued month after month. You may also like to read about top 6 diseases that can trigger joint pain. That is when I decided to get certified in nutritional therapy at the Oxford school for Nutritional Therapy. My aim was to treat patients with chronic lifestyle diseases. Today my method of reversing RA is a combination of my specialty as a health expert and my experience in healing different kinds of RA patients. How does nutrition affect the condition and reverse it? One of the major underlying causes of RA is an accumulation of nutritional deficiencies. Since RA is primarily an immune system disorder, if the immune system is strengthened with the help of nutrition, the symptoms of RA reduce drastically. You may also like to read about these 6 natural remedies for arthritis you should try. What veggies or foods should a person with RA specifically include into their diet on a daily basis? How does yoga help in reversing RA? Yoga and pranayama are great for people with RA. The pain and stiffness that they feel is often excruciating and causes their joints to freeze making it difficult for them to move. Therefore, a combination of yoga and pranayama helps reduce these symptoms considerably. While, yoga keeps their joints supple and flexible, pranayama helps in the efficient release of toxins from the body, thereby reducing pain. You may also like to read about yoga poses to beat arthritis. Alcohol is known for its ill effects on the body, can a person with RA have them? Is the kind of nutrition and exercise prescribed different for different body types? Yes, it is highly personalised. When I meet a patient, I chart out a plan for him/her depending on their gender, age, blood reports, family history and personal history. What is the general schedule that a person with RA will have to follow? RA is an auto immune disorder and medical science and doctors say there is no real reason why RA strikes. However, in my practice, I have found the following reasons to be leading up to and cause RA. All the above lead to inflammation inside the body, and the only way to reduce inflammation is to attack it with an anti inflammatory lifestyle. Hence, treatment cannot be restricted only to diet or one form of science. Read more about exercising with arthritis — 5 things you must know before you start. Some people think only Ayurveda treatment can cure RA but it’s not true. If you have RA, a specialised plan on the basis of your age, gender, blood reports and temperament is developed, that combats inflammation inside the body. This includes some anti inflammatory agents, mild yoga to keep the joints supple, pranayama to release toxins and stress, supplements to fulfil the nutritional deficiencies that caused the compromised immune system, long periods of rest and sleep as fatigue is very high, and an Ayurvedic massage schedule for 14 days to repair joint damage. Consistently attacking RA and not letting go for 3 months at a stretch reverses it, reducing the inflammation and the pain.